Whether you are on the road right now living your full-time RV dream or you are in the planning phase, cutting costs is a topic you are clearly interested in. And you should be! Cost is a major factor in determining if you can make this happen…or if you can continue to make this happen. We want to use the experience from our months on the road to give you an advantage when it comes to understanding and controlling your RVing expenses. There is hope to make some improvements here, so stick with me and we will get some of those hard-earned dollars back into your pocket to fuel your dreams. In case it isn’t completely obvious to you, fuel and accommodation expenses (RV parks and campgrounds) are likely going to top your list of expenses in the RV life. At least if you are anything like us. So let’s start with the big dogs and work our way down from there. At our very first stop in our hometown after moving out of our home and into the travel trailer, I paid a little bit extra for the KOA membership while staying for a week at a KOA campground. We haven’t stayed at a KOA since then. In hindsight, that wasn’t the absolute best choice. But, live and learn. But I’ve made some better membership choices since then that I discuss in detail in this beefy post all about campground membership options. Bottom line? You’d be crazy not to seriously consider a Thousand Trails membership as part of your cost-cutting plan for accommodations. 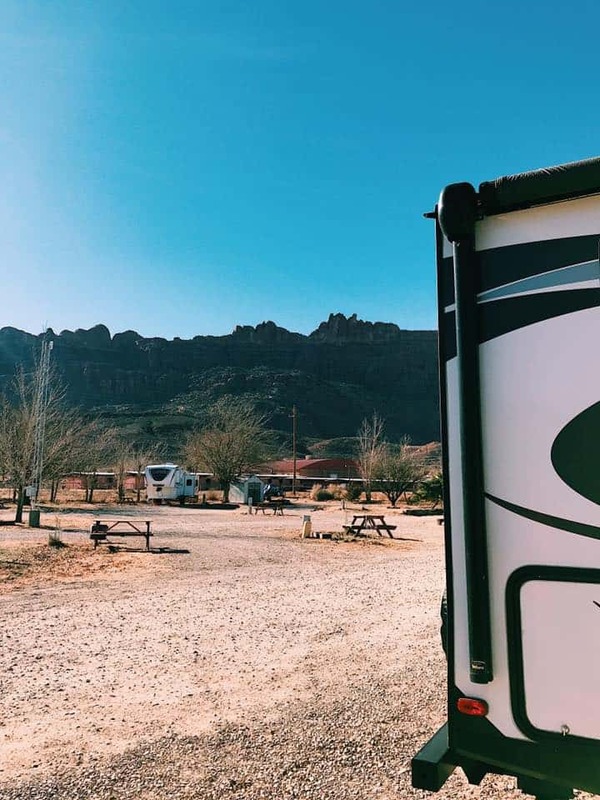 It was only when we were considering upgrading our Thousand Trails membership that I really took a hard look at my overall costs for RV parks and campgrounds when we were outside of the Thousand Trails system. Let’s just say that I could have purchased THREE upgraded memberships with the money I spent on accommodations in that first year. Yeah, ouch. Now, realistically I would not have saved ALL of that money by upgrading because we were in plenty of locations that did not have Thousand Trails options we could have taken advantage of. But having the ability to stay 14 days in a Thousand Trails location and then go straight to another location, without 7 days out of the system that is required with the Zone Camping Pass, would have still saved me THOUSANDS. That is for sure. Get yourself fully educated on all things Thousand Trails. I strongly recommend this post by RV Love to understand the intricacies of the upgrade options available to you. Your bank account will want to send me a thank you note later. But you have to understand, this was the first truck I ever owned! I’d never driven anything that had a tank larger than 18 gallons or gas mileage under 17 miles per gallon (that minivan drove like a tank). Taking the huge leap to a 3/4 ton truck with a 31 gallon tank and 5.7L Hemi engine that got 8-9 miles per gallon while towing our travel trailer was a swift kick to the…shins. And it took me a while to adjust and (mostly) accept this necessary expense. One thing that eased the pain a little bit for me was using the fuel discount at Pilot and Flying J stations through our Good Sam Club membership. Now, this is not an earth-shattering discount at only 5 cents per gallon, but it still made my heart flutter every time I spotted one of those stations and swiped my membership card at the pump. It’s the little things in life. That small fuel discount was a simple step toward savings that I literally just stumbled into as an added benefit of the Good Sam Club membership. But there are other ways to step up your savings game that I will definitely take advantage of when we hit the road again. Primarily, I am talking about a fuel credit card (gasp!). I know, I know. I can hear you yelling at your screen that those little critters are dangerous and vile and should never be trusted. But as always, it depends on how you use it. When you can earn cash back on all of your fuel purchases by using one of these credit cards, it can add up pretty quickly. Of course, you MUST be disciplined enough to pay it off each month so that you do not accrue interest on your purchases and wipe out your fuel savings and more. It is the proverbial double-edged sword, and I was not feeling prepared to wield that sword during our travels. But maybe you are. Run through a gut check, consider your history with credit cards, and determine if this is the right step for you to take. We bought our 2017 travel trailer brand new off the lot. For us, it was the right decision as complete newbies to the RVing world. 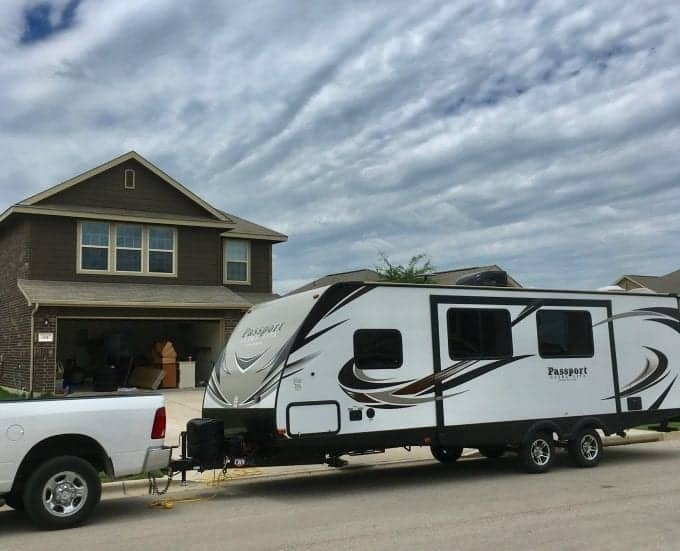 I needed the peace of mind that came along with a 12-month manufacturer warranty and less chance of a “gotcha” moment if something terribly wrong slipped under the radar with a used RV option. I was so excited knowing that this thing was ready “from tip to tail” to hit the road and keep my family safe and secure. Or so I thought. 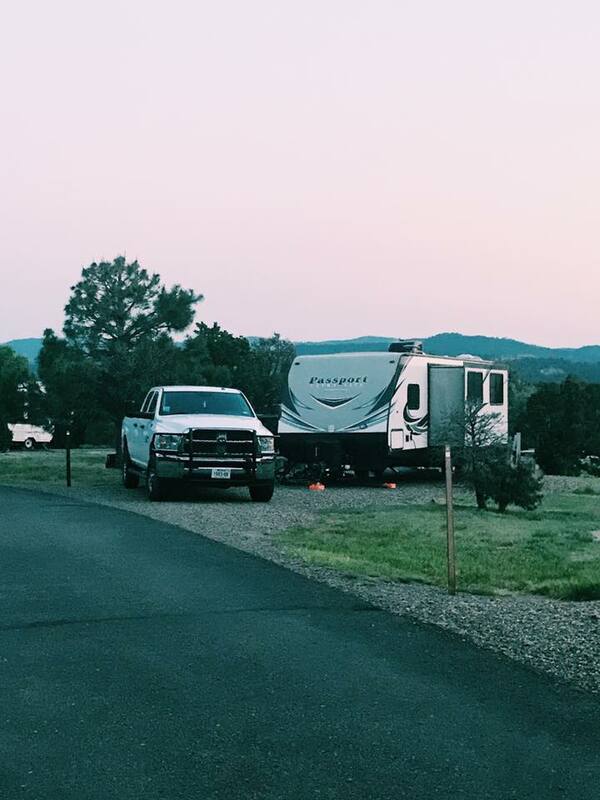 As I discuss in this post about travel trailer tires, it didn’t take me long to figure out that the tires my travel trailer came equipped with from the factory were not going to be adequate to haul our possessions around the country for more than a year. 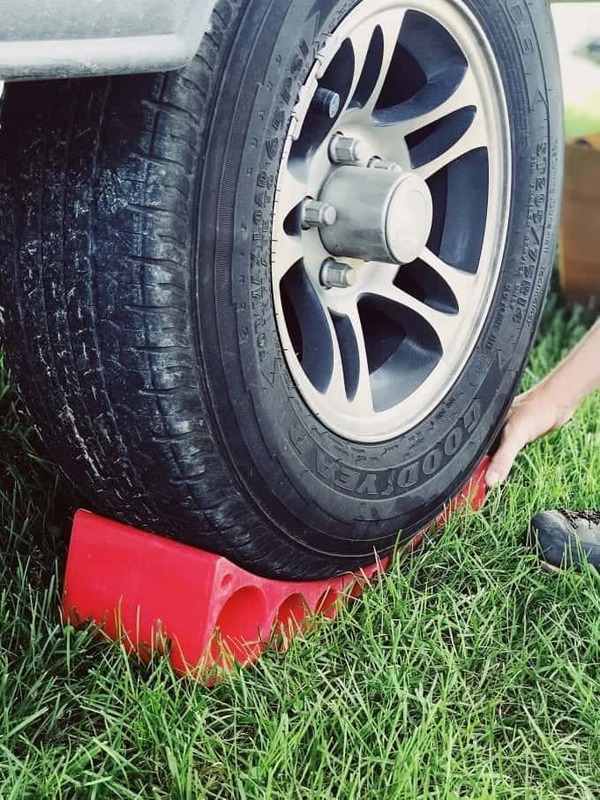 Essentially, the C-rated tires that came on the travel trailer were adequate for the empty trailer but they were NOT capable of carrying the stated cargo weight in addition to that. I had read and watched so many stories about terrible blowouts that had destroyed the sides of travel trailers and fifth wheels. I had watched the YouTube videos of one full-time family who had THREE blowouts in their first few months on the road. Now I knew why, and I knew what I had to do to hopefully avoid that same fate. You can read more about it in the post I linked to above, but I went out right away and spent about $600 to put D-rated Goodyear Endurance tires on my brand new travel trailer. Did it sting a bit? Heck yeah! Would I do it again? In a heartbeat. You see, we traveled for 17 months and tens of thousands of miles without a single tire issue interrupting our travels or putting my family in danger. I still consider that $600 the best money I spent on our entire grand adventure. I encourage you very strongly to do your tire homework and make the safe decision for your situation. Before we hit the road, we heard from multiple sources that the one thing you should really try and do when you hit the road full-time is to take your time and slow down your pace. Over and over again, folks who had been on the open road for a year or more said that same thing as they looked back on their travels. Yeah, that would have been a good idea. Our reality was a little different for various reasons that I won’t go into. Suffice it to say we moved too fast for too long and it definitely burned us out. This recommendation is coming from the standpoint of really trying to enjoy your travels, savor the grand locations you will see, and keep you from burning out because of a frenetic pace. Look, FOMO is a real thing and it probably only amps up out on the road where there is so much that you want to see and do. I get it, believe me. Okay…but what about the cash? That’s all good to know and it’s important. But the reality is that you will also save plenty of cash by slowing things down a bit and hanging out longer in each location. 1. You will be burning through less fuel on a monthly basis while moving at a slower pace. 2. You will be able to take advantage of weekly or monthly rates at many RV parks and campgrounds which offer you a significant savings over the nightly rate. But you, you are different. You will heed this wisdom, slow your pace, stay refreshed while you enjoy each moment in each location, and realize significant savings because of it. #5 Cost-Cutting Tip: Equip Your Rig for Major Boondocking Opportunities! Okay, I think I saved the best for last. But first of all, we have to make sure that you are aware what I am talking about when I say “boondocking”. So start right here with my boondocking post so that we are on the same page. Good? Okay. This is big folks, because if you are equipped to boondock, even for a few nights at a time, you have so many other options available to you that will save you some serious cash. In my opinion, the “Killer Combo” for full-time RVing adventures (which I plan to have in place on our next go round) is an upgraded Thousand Trails membership and the ability to boondock extensively. With these two pieces in place, your ability to control your costs on the road skyrockets! But for me, this goes way beyond the savings aspect. This is about FREEDOM. Freedom to explore, to get off the beaten path, to encounter beautiful people in fascinating places that you never would have discovered. And one of the best ways that I can think of to take advantage of this freedom that boondocking offers you is through a Harvest Hosts membership, which I discussed in detail in this post. Hands-down, Harvest Hosts is the most unique and fulfilling membership opportunity available today for full-time RVers. You owe it to yourself to explore the option and find out firsthand. 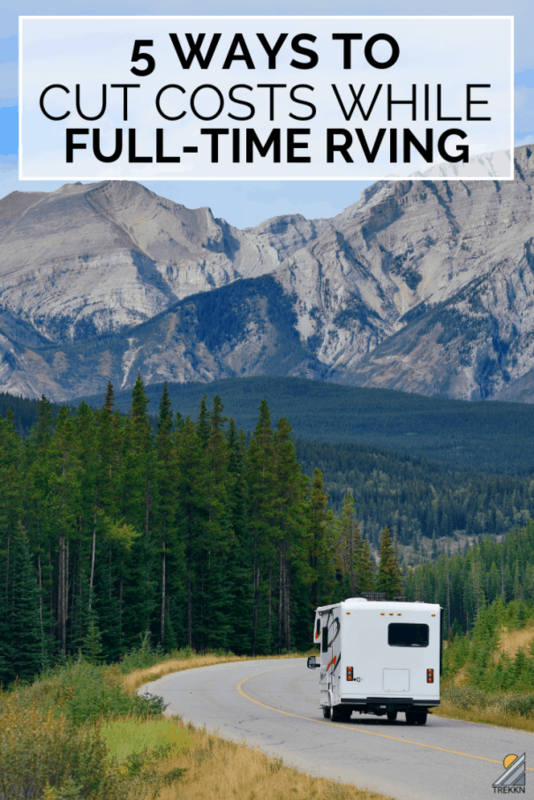 Find every way you possibly can to fully experience the unmatched freedom that full-time RV travel offers you. Some of that freedom will absolutely open up to you with increased savings through considering these five tips I’ve shared. But at the end of the day, you could save all the money in the world and still miss out on the freedom that you are pursuing. Don’t miss that important point as you journey. Now get out of here, put your phone away, get outside and soak in the goodness. And by all means, keep on TREKKN!